The Washington County Sheriff’s Office is seeking assistance in locating a missing adult. Brandy Lee Croasmun, 25, was last seen on February 8, 2018 at approximately 8:30 AM in the area of Orchard Ridge Road, Hancock, MD. Brandy is 5’9”, 180 lbs with shoulder length brown hair and brown eyes. Brandy was last seen wearing a gray Nike hooded sweatshirt with green lettering, blue jeans and brown UGG boots. Brandy’s family has not heard from her and is concerned for her welfare. 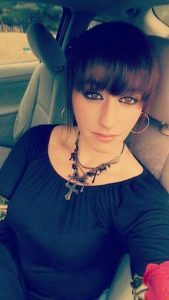 Anyone with information on Brandy’s location is asked to contact the Sheriff’s Office at 240-313-2170.